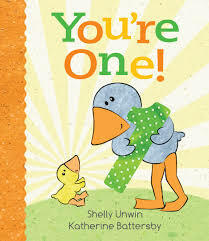 Little books for little hands to grasp. Big world concepts for small minds to soak up. 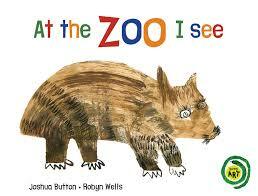 Board books are often baby’s first introduction to the relationship between sound and words and pictures. 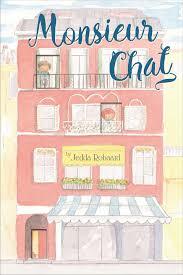 They also represent a delightful extension of love between parent and child as their worlds widen. These next few board books ensure these shared reading experiences are both entertaining and memorable. Button’s stripped bare text is spot on for toddlers and two year olds but includes some jolly adjectives to keep little minds tuned in and turning. I love Wells’ painted and ink illustrations – expression plus! Collect them all for your 0 – 4 year-olds. Meal times at our place are often a mixed plate of dedicated eating, distracted concentration and animated conversation. 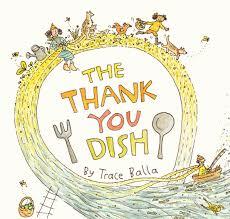 The Thank You Dish draws on these around-table -scenarios as one family sits down to enjoy their meal. Winter is almost upon us, and as the days grow darker and the nights become cooler, my mind turns to comfort food from my slow cooker. Anyone with me? It’s time to pull out your slow cooker from the back of the cupboard, box or garage and begin to look forward to some delicious meals. Slow cookers are a fabulous time-saving appliance, and there’s nothing better than coming home from a busy day out to a delicious concoction cooking away on your bench top. 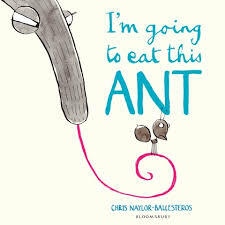 Now, if you’re anything like me you’ll have your tried and true favourites (lamb shanks, beef hot pot) but I’ve pulled together a collection of Australian books for you to spice up your repertoire. The best thing about this collection is that each of these books have been selected from the Boomerang Books list of Australia’s Top 1000 Bestselling Books, which means you can enjoy an additional 20% off the RRP. First, I bring you the 250 Must-Have Slow Cooker Recipes (pictured left), which contains recipes for time-strapped cooks and busy households, including breakfasts and desserts. Recipes include cooking with meat, poultry, seafood, vegetables, pulses, rice or pasta to create soul-warming dishes. Yum! If 250 recipes isn’t enough, try the The 1000 Recipe Collection – Slow Cooking, which has (as the title suggests) an astonishing 1000 recipes to choose from. Getting hungry? The Complete Slow Cooker By Sally Wise is a combination of two of her previous slow cooker books and is appropriately jam packed full of great recipes. If you’re looking for ideas for delicious and nutritious meals from an experienced cook, you can’t go past The Complete Slow Cooker by Sally Wise. 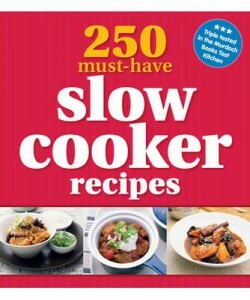 According to the publisher, Sally Wise is the: “best known, best loved and the biggest selling author of books on slow cooking,” so you really can’t go wrong with this one. 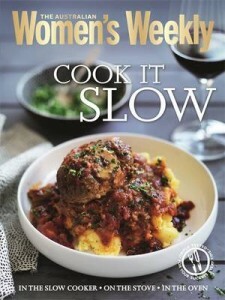 Finally, a collection of Australian cook books wouldn’t be complete without including an Australian Women’s Weekly edition, and so I give you Cook it Slow by Australian Women’s Weekly. Cook it Slow contains almost 500 pages of recipes and also includes other methods of cooking slow including oven and stove top recipes; making this book perfect for those without a slow cooker at home. Let me know if you’re a slow cooker devotee, and if you have a favourite recipe you’d like to share with us. If you’re still hungry for more, check out Slow Cooking By Hinkler Books. The 8 day food festival, “Tasting Australia” has opened here in Adelaide with one of the biggest events being the “Feast for the Senses”, a two day extravaganza of food and drink held on the banks of the River Torrens over the weekend just past. 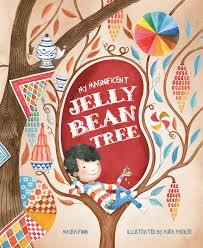 This is an enormously popular event, attracting thousands looking for a picnic treat in the autumn sunshine. There were queues aplenty as I pushed my way through the feeding frenzy, gradually making my way over to a marquee at the far side where a more sedate consumption of words was taking place at “Word of Mouth” – a celebration of the spoken and written word in food and wine-related matters. I managed to catch a little of a session on food security and sustainability, featuring cookbook writers Julie Biuso (NZ) and Jill Norman (UK) and the indefatigable Peter Cundall, who addressed what they see as the imperative of growing our own food. Jill Norman pointed out that, with the recent cessation of international flights in Europe as a result of the Icelandic volcano, many fresh fruit and vegetables have become unavailable in the UK – a situation that would not be so critical if there were a return to the home growing of seasonal produce, rather than their reliance on imported products all year round. This was followed by the session about food/travel journalism where “Selector” magazine publisher Paul Diamond, journalist Winsor Dobbin and writer Paul Mercurio disabused the listeners of any notions they may have had about travel writing being merely “junkets”! There was general despair about the amount of commercial “puff pieces” and advertorials in current travel journalism, with the panel advising any potential food or travel writers to be stringent in their checking of facts before submitting any written pieces for publication. The final panel I sat in on for the day was a very popular discussion about Spanish cuisine. The speakers were Melbourne chef Frank Camorra and writer Richard Cornish – authors of the multi-award winning “Movida” and their latest book, “Movida Rustica” – and John Barlow, author of “Everything But the Squeal”. The Movida Madrilena was a movement that took place in Spain after Franco’s death and represented the resurrection of the Spanish economy and identity. Spanish food, both traditional and modern, has become a significant marker of this and the conversation centred around how and why this is so. Camorra pointed out that there are 17 different autonomous communities within Spain, each with their own regional languages and cuisines and each having wide autonomy to enable them to maintain their distinctions and diversities. John Barlow’s book, “Everything But the Squeal” is a testament to this and he spoke of his experiences in Galicia as he travelled around the province endeavouring to eat every part of their principal source of meat – the pig! Camorra and Cornish both spoke of how tactile the food culture of Spain is. There is a significant focus on food sharing and physical closeness and a habit of touching the food – with much eating with fingers! It is a culture which engages in a great deal of discourse about food, with cooking and dining being constant sources of discussion. Camorra also spoke warmly of the generosity of the people when it came to sharing their food and recipes. He and Cornish travelled extensively in the regional areas when compiling their latest book and frequently found it a great struggle to move on as their various hosts pressed them with food, wine and conversation. Clearly a labour of love, this book, “Movida Rustica”, is a celebration of Spanish traditions and traditional cuisines and last night was awarded a prestigious “Gold Ladle” award at the Le Cordon Bleu World Food Media Awards for Best Hard Cover Recipe Book (over 35 Euro)!